Tufted area rugs made in India, China, or Pakistan have been known to have an unpleasant odor that can vary from mild to offensive. The reason for this odor is the latex glue used to make them. The glue is usually low quality and sometimes mixed with fillers, such as marble dust, to make it spread further. The smell is permanent, no amount of professional cleaning or deodorizing products are able to remove it and the glue is made up harsh chemical substances, that are hazardous to your and your loved one’s health. We do not sell tufted rugs at Rugs & More because of these reasons. Most national chains do sell tufted rugs, that look like a hand knotted rug, but they are not. They are just cheap imitation of hand knotted rugs. Do not buy a hand tufted rug. At Rugs & More, we sell the rugs in the best quality hand knotted all natural wool and vegetal dyed rugs to last you a very long time to be enjoyed by your family and friends for generations. Come in and get advise on why our rugs are better than any Tufted rug. Another thing to consider when buying a tufted area rug is where it will be used. In high traffic areas synthetic tufted area rugs get dirty looking quickly and the grey dinginess remains. Tufted area rugs are not a good choice if you have pets. If any pet accidents happen the smell is nearly impossible to remove because it gets absorbed by the glue. Stains are harder to remove because they cannot be cleaned as thoroughly due to the fact that the area rug is glued together. Tufted area rugs can de-laminate if cleaned with too much moisture and/or heat. Over time the edging on the back or fringes may become unglued or you may see rust colored stains around edges where the glue has oxidized. In older tufted area rugs the glue may dry out and start to break down making the rug limber. This causes you to see white sand like dirt come from the area rug. Those are good indicators it might be a time to replace your rug. Rugs pay tribute to the beauty of their countries of origin. Whether exotic or traditional, tribal or modern, our rugs weave stories through intricate patterns, compelling colors, and touchable materials. These museum quality pieces are a testament to superior craftsmanship. Our rugs, textiles, tapestries, flat woven rugs, Kilims, and needlepoints are hand-knotted and woven in silk and wool of the highest quality. Both rare and unique in design, these collectibles quickly become family treasures that can be passed down from one generation to the next. Our goal is to help you make a rug truly yours! Rugs & More is proud to offer customization options. Creating a custom rug from a variety of styles is the perfect solution when you can’t find exactly what you want. We invite you to visit our showroom to meet our knowledgeable staff and get acquainted with our inventory. You can also learn more about the history of rugs, instructions for proper care, and general tips for a successful rug buying experience. We look forward to getting to know you. Choose from our huge selection on antique rugs that will last you a life time to pass down from generation to generation. 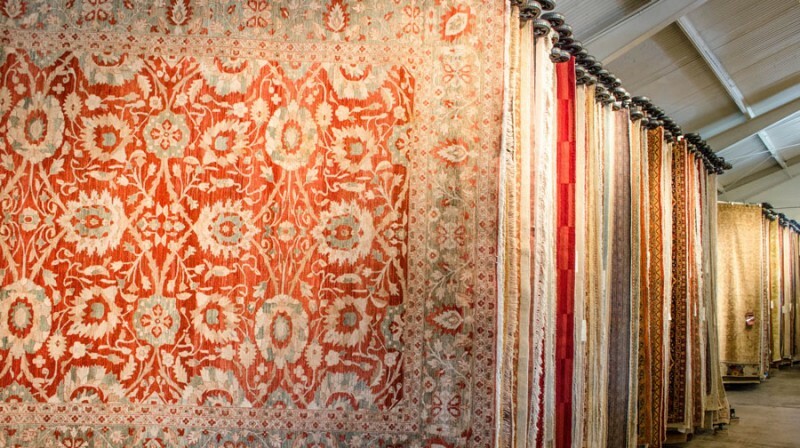 Rugs & More is proud to offer the highest quality repair and restoration services for antique and hand woven rugs on the west coast. We regularly achieve miraculous repair results on everything from priceless antiques to all purpose floor coverings. 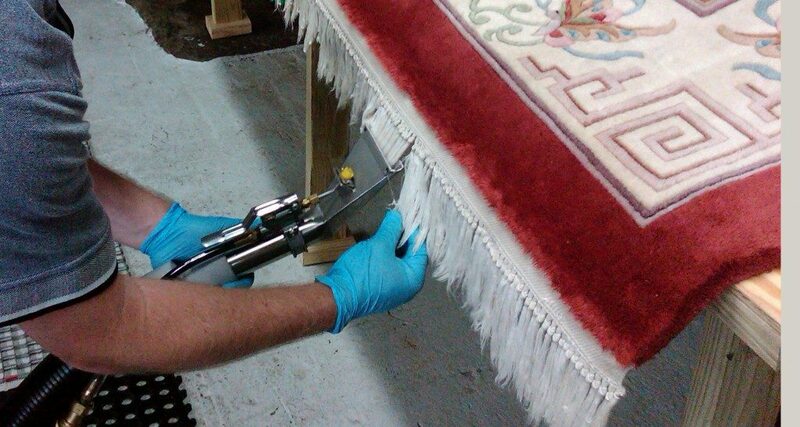 If you have a treasured rug in need of some TLC, do not hesitate to use our services, we guarantee you will be pleased with the results.